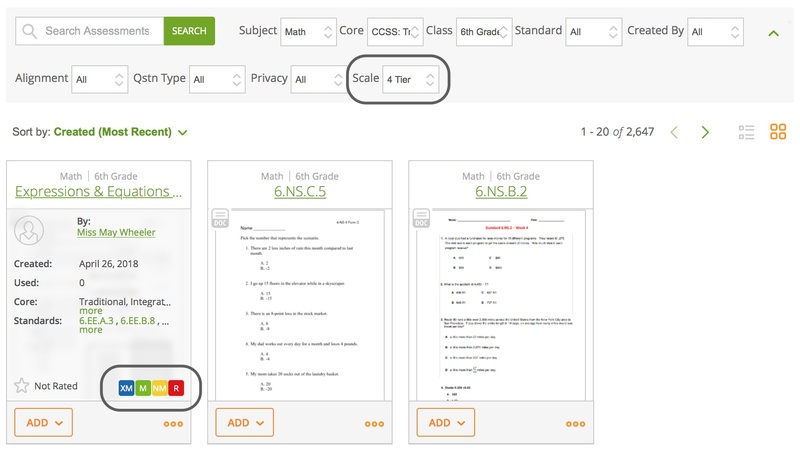 Districts or schools in MasteryConnect are set up with either 3 or 4 mastery levels. When you add an assessment from the community to your tracker, it must have the same number of mastery levels as your tracker. However, you can use an assessment that is on a different scale if you convert that assessment to your current tracker mastery level first. 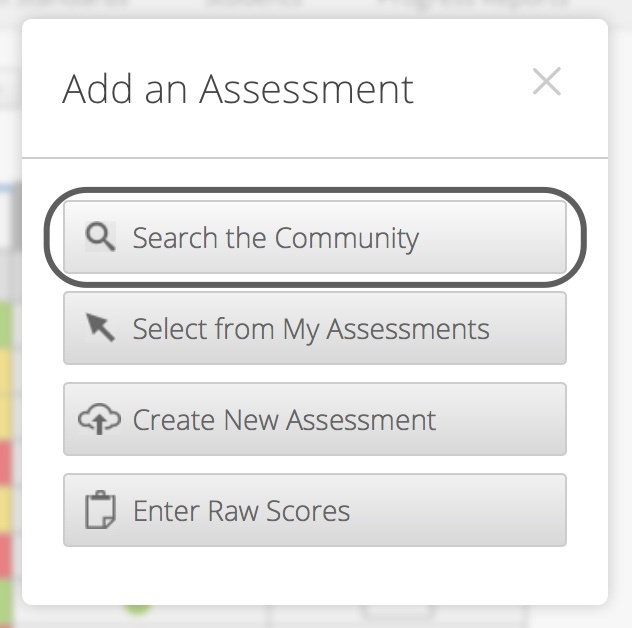 Click on Add Assessment, and then click on Search the Community to find a common assessment. You can use the Scale filter on the search bar to search assessments by mastery level. The mastery level of the assessment appears in the assessment information. 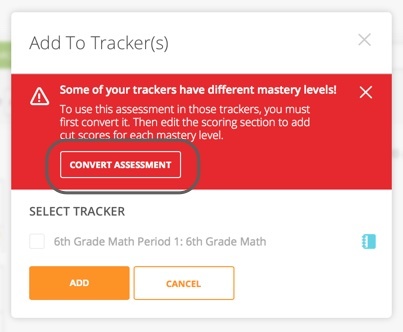 When you select an assessment with different mastery levels than your tracker, you won't be able to add it to your tracker without converting it first. Find the assessment you want and click on Add to Tracker. If it does not have the same number of mastery levels, you'll get a message to convert the assessment to different mastery levels so you can use it in your tracker. Click on Convert Assessment. This will automatically clone the assessment for you. 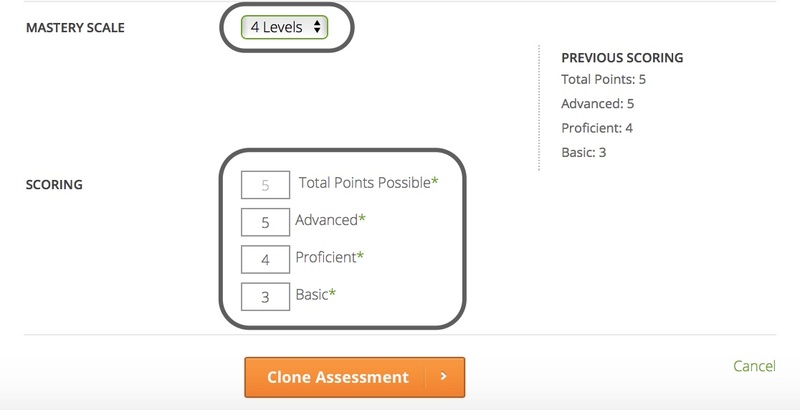 Go to the Scoring section of the assessment and enter the mastery level cut scores, then click on Clone Assessment. Note: You can also make any additional edits to the assessment before saving your changes.